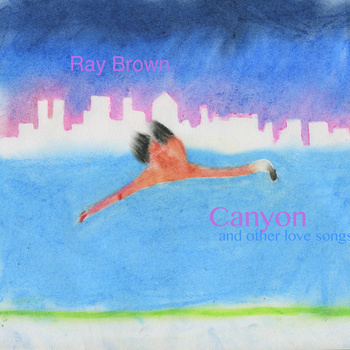 Performing since 2010, singer-songwriter Ray Brown hails from Salem, New York. Canyon is the first release from the artist and it’s been described as a sandwich of fun and tragedy at the same time. Containing 12-tracks, Brown’s genre of choice is acoustic folk but he manages to extend and incorporate a little bit of alternative and country to the mix as well. Canyon is one of those albums you can put on if you feel a little melancholic or self-reflective. Most of it is a menagerie of beautiful acoustic guitars and great melodies. Opening with The Grand Canyon, the song is simple but Ray’s voice conveys powerful emotions that easily transmits to the listener. You’ll hear the quiet desperation in his voice as he sings about frustration and the growing distance between two people. Other noteworthy tracks include, Staten Island and closing single, No Windows. The album sounds more like a narrative; allowing the listeners to take a peek at the singer’s life. He shares his concerns, thoughts and personal experiences that for him stood out. Again, the album is quite simple and not all of the songs are likable but there are several cuts that resound with a rawness that’s hard to spot in today’s musicians. Overall, it’s for those who like bedroom-made acoustic songs and don’t mind the occasional unpolished state of music. Check it out and grab the download if you like it.